"Down the track, the two sides can look at cooperation in the hydropower, tourism, finance, education and medical sectors," he said. 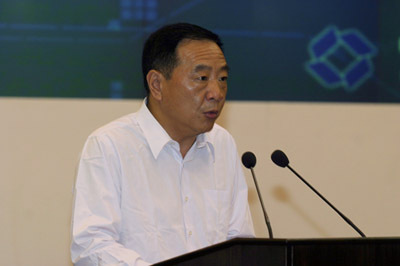 The two governments should encourage two-way investment and the exchange of skilled professionals, he said. Indian officials also said that they wanted to narrow the trade gap between the two countries. China's exports to India stood at 21.61 billion dollars in the first 11 months last year, while imports hit 12.58 billion dollars, the Ministry of Commerce said. The imbalance has raised concerns in India. Meanwhile, Prime Minister Manmohan Singh on a official visit to China said that the challenge before us is to diversify our export basket to China. "I would urge Indian businesses to vigorously pursue opportunities for expanding non-traditional exports," he added. The summit, held by China's international trade council, drew 600 company representatives from the two nations, including Sinosteel, Tata Group and ArcelorMittal SA.